I need to replace several plastic above ground pool caps that connect the metal rails circling the pool. I have had zero luck finding replacement parts online. Is there a specific name for these? They have words on the tops "no diving" on them and fit the top of our 15 ft round above ground pool. Hi Kelly. Some of the different above ground pool manufactures have parts available but not many. Knowing the pool name would be very helpful. I might be able to tell with a picture. Most of the time parts can be ordered from the pool store the pool was bought at. 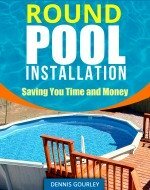 You might try all the different pool stores in your area and see what above ground pool parts they could order and see if anything matches up. Online there is this place, Asahiparts.com. Take a look and see if any of these top caps would work. I call them top caps, I have heard them called decorative connector covers. I was looking for some for our pool and found exactly what you are looking for if they are one piece and if not they can be modified. They have the words "No Diving" on them and are shaped kind of like a fan or large piece of pie. They have 9 of them and they are $10 each. If you are interested: email me at thrashal@charter.net and I will give you the man's name and phone number. Boy! I know how hard they are to find. I just lucked up on some very nice people! My top caps have a part number on them but no manufacturer . The no. Is 31063-6. Any ideas anyone where to find replacements? Just came across this post. Did you have any luck identifying the mfr of this pool? I have the same cap but cannot figure out who made this pool. Need the top rails for ours. caps if any body knows where to find them. I need 26 of them for a Baycrest above ground. The website AsahiParts.com has the 2 piece ones available but they are 20.99 each and grey instead of the white ones I need. Any body know where to find cheaper ones? I've looked all over the internet & called several pool places within 100 miles of us. We got a few last year from a local pool supplier, but they're unable to get any at this time. It's the one that shows no diving on it. Part # 13348. Saw these comments several months when I was looking for what all of you are/were searching for. I was lucky enough to have saved my original parts list so for me I was able to match the part#. The "cap" number one of you listed is the correct number of the part and you can purchase them on-line from a place called "Leisure Time Pools". They were VERY helpful and straight forward with me. If you order parts like this from them it is on a no return basis. I think because they're really isn't much demand for these parts. But I ordered 10 caps and one rail and it was PERFECT. Give them a try and good luck!! I purchased a used doughboy 21 x 41 pool only to realize it has no caps. I have been looking but are unable to locate them. Anyone out there know where I might get some? Please read my post from 20 Jul 12. I'm pretty sure that I have the same pool as you. Mine came with "Doughboy" skimmer basket but the pool was actually called "Forrest Glen". I would check them out. I have an Artesian pool. It is 24' round. The model is Sandy Point. I need to replace several of the caps that attach to the vertical posts. I too have a Artesian pool, 24 ft round Emerald Isle that the resin caps have dry rotted. They supposedly had a life time warranty by the company says they dont have the parts.... Any ideas where to find them? I have a oval Leisure King Pool that I put in in 1 1992...It is in good shape except I need the top caps. It states on the paperwork that it is Vinyl Surface Sealer, 2 section seat clamps, no part numbers. Can I replace with the plastic top caps. Anyone know where or if I can use different top caps? I need 12 beige top caps for my above ground pool. They have the sayings, No Diving/ Shallow Water. They are 6" at the bottom edge and 3 3/4 at the top. Any suggestion? I need 5 Top Seat Caps for my 28 foot above ground pool. The number on the seat caps is 31063-6. Where can I order these, do you have them? I have part number but no pool brand name. P/N 12590. Can you help? This is crazy this many people can not find the same part. I have read all the comments. This Manufacturer should be held responsible for these parts. Obviously poor workmanship on the part. I have been looking for two years. The majority of all my caps have busted. I thought our pool was covered for 15 years is what my pool warranty described. BS....Very disappointed to say the least. I am in search of the top caps for a 21 ft round horizon pool with 2 screws attaching them. If anyone has any ideas I would greatly appreciate any help. Please and thank you. Anyone out there have problems with Embassy Pools (Century model) top caps. Mine are disintegrating and cracking and I need to order new from somewhere. Can't find any like them online. The pool is only eight years old and this started two years ago.